These are still non-slip, shock absorbing, non-marking, fuel and oil resistant work boots, but as an added feature, they are now also heat-resistant. The HAIX Black Eagle® Tactical 2.0 GTX Mid is the shoe you’ve been looking for. Designed with durability and comfort in mind, these police boots can be worn anywhere whether it’s for on or off duty. It’s one of the lightest weight options in our range of boots making it easy of the feet. Wear these 6-inch black tactical boots for airport duty and you shouldn’t have any problem - these boots are metal free. These 6-inch waterproof work boots feature a GORE-TEX® inner liner. Together with the HAIX® Climate System, your feet are kept at a balanced temperature whether you’re indoors or out. It’s made possible thanks to the air circulation process which automatically warms these breathable work boots during cool conditions and cools them during warm conditions. The tactical boots’ insole with its moisture absorbing properties means that after a long hard day of running, jumping, and walking, your feet are still dry and comfortable. A good pair of breathable work boots is just what you need when you already have so much to deal with in your active line of work. And when it gets too hot, you never have to worry, since the Sun Reflect feature of the breathable leather reduces the heating effect of the upper leather by reflecting sunlight back so that the leather and the inside of your boot is much cooler. 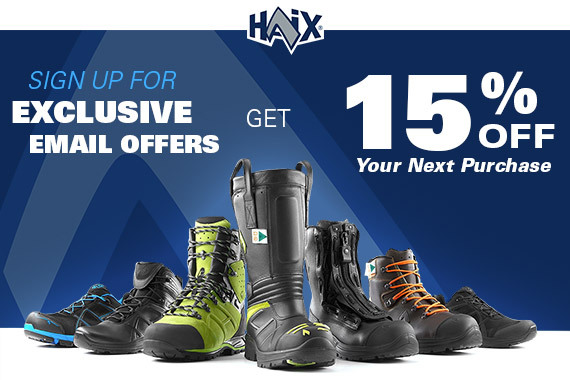 The HAIX Black Eagle® Tactical 2.0 GTX Mid comes with an optional extended one year warranty. This is an added bonus to an already amazing pair of SWAT boots. Once you try on the HAIX Black Eagle® Tactical 2.0 GTX Mid, you’ll never want to look at any other brand again.